This particular blog has very little, actually NOTHING to do with cake…or charms, or candles…I just feel quite passionate about this subject 😆 Today we woke up to GLORIOUS weather. I mean, warm from the get go, a very mild breeze and in the north of Scotland…that’s definitely something to blog about. So, I have a wedding cake to do this weekend, and I was planning on starting my buttercream flowers but then remembered it was sports day…and I’m not gonna lie…sports day for me, has got to be HANDS DOWN the WORST school event ever. It’s mind numbingly boring to be watching hours and hours worth of kids you don’t know even know running from one end of the field to another whether it be egg and spoon, three legged or some sort of obstacle course. And guys I KNOW how much effort the teachers put in and I TOTALLY appreciate their efforts, I do. But just no. Nope, it’s not my cup of tea. And the worst of it is, after waiting for what seems like hours for your kid to have a go…you’re so busy trying not to be bored, by chatting to other just as bored parents and all of a sudden…you’ve missed your freaking kids race, and now you’ve got to act like you witnessed the whole thing and wow weren’t they just fantastic and that’s the best they’ve ever done and oh sh!/t …who actually won?! And there’s ALWAYS those parents that get FAR too involved in the rules and who actually won, and what’s fair and not fair…ermygash 🤦🏻‍♀️ I’d just…nope, nah, not even going there….not my thing. And guys, don’t get me wrong, I LOVE a good race. I do! I initiate them every chance I get…’Jaxon, I’ll race you to the car! Hayden first one up the stairs has to get mummy a glass of wine’ not actually the prize but a gal can dream right?’ So yeah, we’re no strangers to the races. And I very rarely win because actually, they’re pretty fast!!! (Not sure why I ever initiate the ‘bet you can’t catch me’s) Soooo anyway, today we took a vote…and Sports Day totally lost, like I mean…it didn’t even get the slightest bit of interest…I almost felt bad. Almost. The beach won hands down. What can I say. My kids are little adventurers. We started out as early as we could which meant about 10am, and we had a lazy drive down to Golspie. Hayden was so excited but more nervous that I would have to go to jail for taking them out of school for the day, that I had to stop for toilet breaks twice! Poor anxious soul. She’s a stickler for rules that one 😣 Any way we finally made it to Golspie and I could not find this award winning beach anywhere!! And I thought that I had better… soon, or all this skipping school business will have been pointless 🙈 So after doing a little run around town (apparently I had found the beach but it didn’t look near as what I’d been expecting) we found this GORGEOUS loch, and decided to set up our picnic there. It was a little pebbly, but also perfect because my back is so screwed up right now after a near fall down the stairs (those races again!!) that it felt fantastic on my muscles when sunbathing! And since we were the ONLY ones there, and it was somewhat remote…they got right down to their birthday suits and went exploring. shouting so loud to hear their echoes, enjoying each other’s company (which at their ages can be very hard work at the best of times) while soaking up the sunshine. At one point while they were making their way back to the shore I heard Hayden say to her brother ‘I love you Jaxon’. It was such a beautiful and ‘proud mom’ moment that I had to stop and give thanks to the Universe for the blessings that are my babies. After a few hours, they decided they’d had enough and we made our way back to the car, eager for a well earned ice cream! Before that we stopped at Golspie Stone Shop where I picked up some crystals and gemstones for my new range of all natural candles (see? I was working too). After we had our ice creams I felt a bit of guilt for perhaps being a bad mom by taking them out of sports day. I asked if they had fun or if they thought maybe Sports Day would’ve been better. They both agreed that the beach was the best choice and Hayden said tiredly in the back seat ‘I definitely had more fun at the beach, being with my family’. So my heartfelt apologies to anyone we may have offended, but today, I did what I thought was best and most enjoyable for myself and my babies. You just never know when you’re going to get a spectacularly sunny day so far north, and when your kids are only 5 and 7….a little bunking off school for a sun day, never did them any harm. And teaching them a little bit of balance and not to be a slave to society is what I’m all about lately. 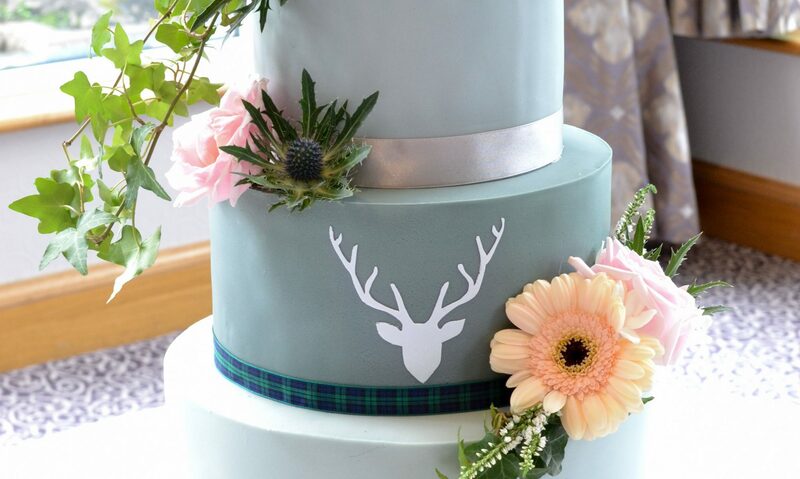 Next up on my cake blog will be my Highland Coo Cake Tutorial as well as Buttercream Flowers tutorial! On my Donut Eat Bakery page it will be all about my Natural Candle Range using crystal therapy and also some beautiful handmade crystal dream catchers! Please subscribe to my blog to stay updated. Thanks my loves!